HKU Sandy Bay RFC is a rugby club for all. A top-down and bottom-up community rugby club for the promotion of the game and to provide an environment for players to learn and excel at the skills of the sport from Under 5s to Seniors. We welcome all to join our club and participate in this fantastic sport. The club aims to provide excellent resources and support for players, coaches and to increase playing opportunities for women and youth players. 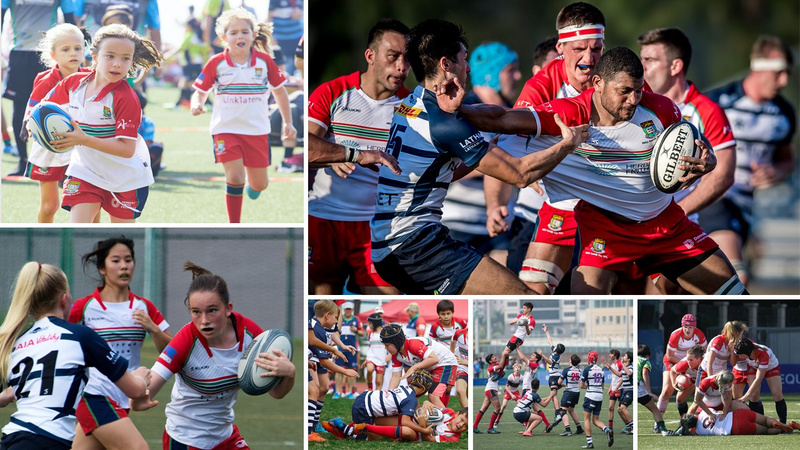 This enables the club to be an inclusive family-friendly community of like-minded people, with the goal of achieving results at the highest levels of HK rugby. Our goal is to participate in all levels of the HKRU competition for both genders and to achieve the best results at the highest level of rugby competition - the Saxo Capital Markets Hong Kong Rugby Premiership. Welcome to HKU Sandy Bay RFC!